Aesteiron Steels Pvt Ltd, is one of the leading manufacturing companies of Ring Fittings. Use: Used in Main pipe line for connecting two lengths of pipes. We are leading supplier of Copper Nickel Forged Ring Fittings. 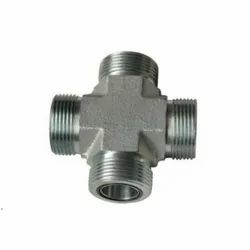 It is also known as Flanged Fitting, Ring Fittings. For use in high pressure industrial applications. Available in various sizes & configurations for utmost flexibility. - New high performance Tube Fittings. 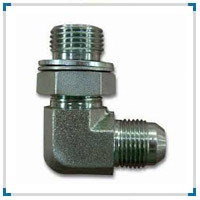 Cutting ring fittings, also known as flareless bite type fittings or compression fittings, are the most widely used bite type fittings in the world. Hyd- Air Engineering Pvt. Ltd.
Mostly used as a shoe for rain water drainage line. Can also be used for providing a 45 deg. turn to the pipeline. Made up of brass metal, these 'O' ring fittings are used in taps. Available in standard shapes and sizes as well as user defined specifications and requirements.